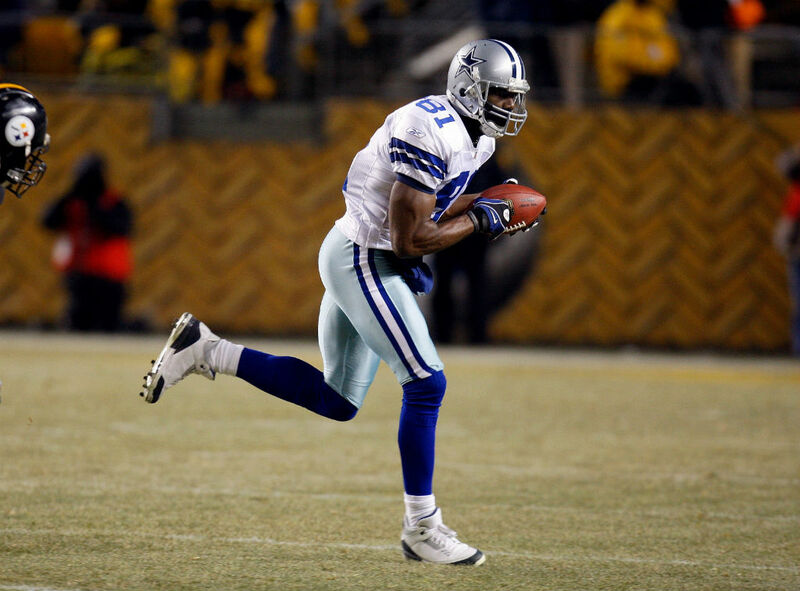 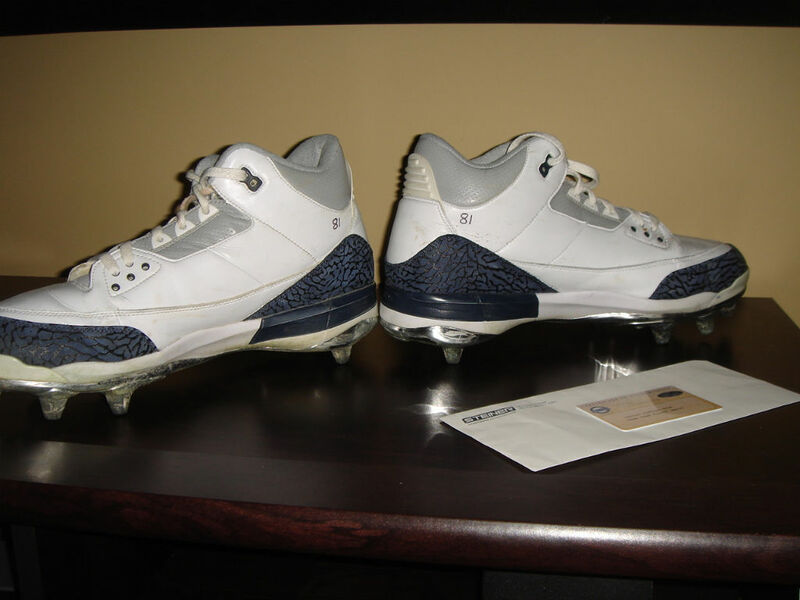 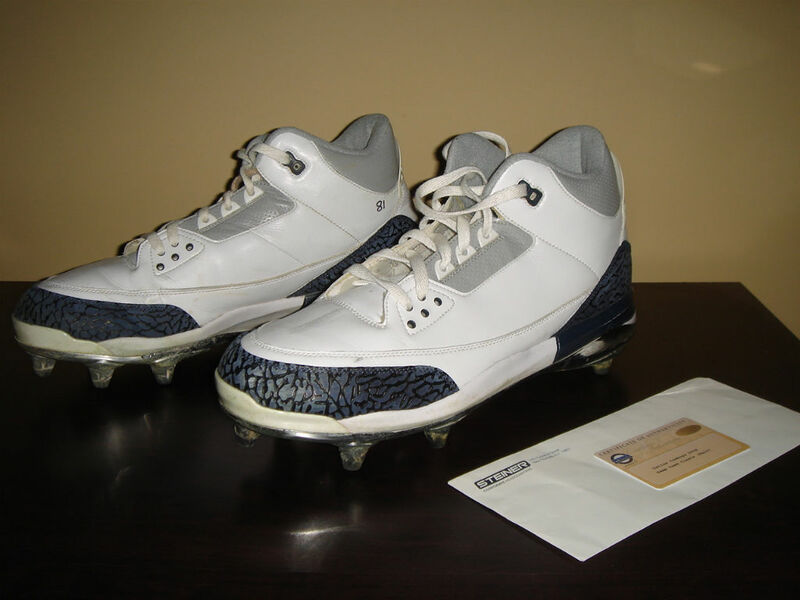 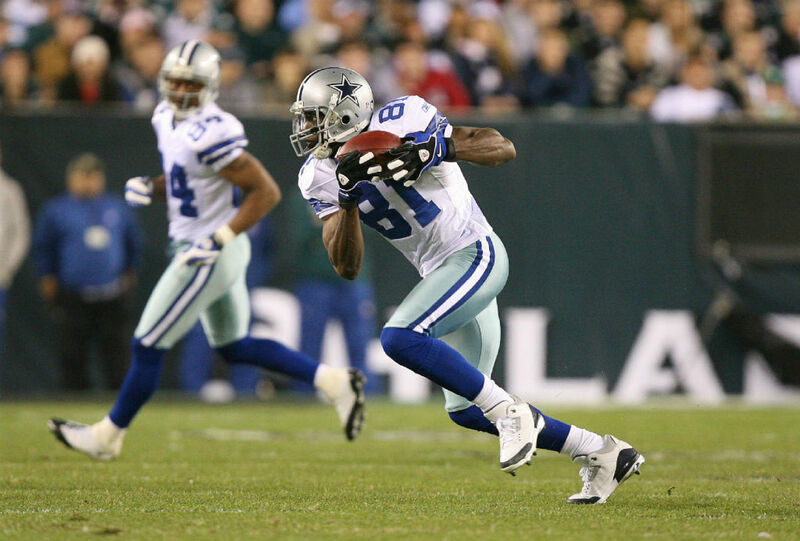 In the last of three controversial seasons with the Dallas Cowboys, Terrell Owens laced up these Player Exclusive Air Jordan 3 cleats. 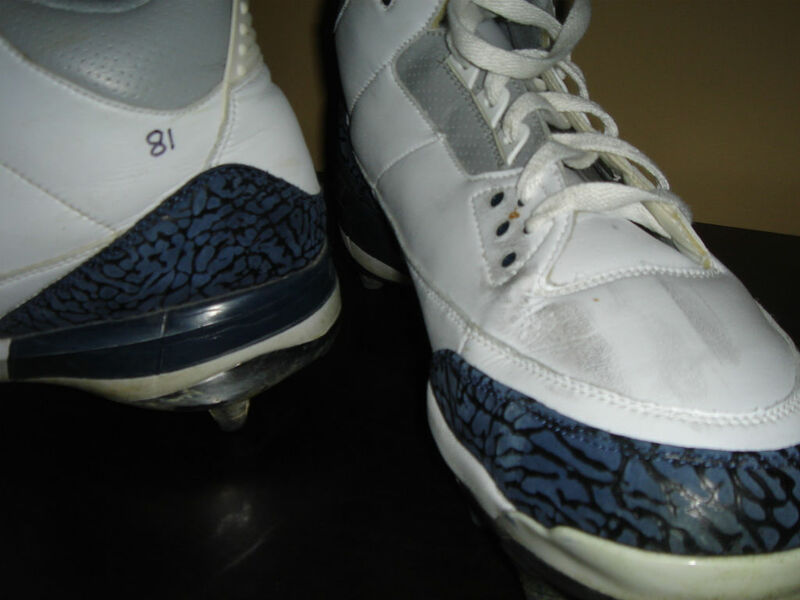 Owens' PE featured a white tumbled leather upper with navy elephant print wrapped around the toebox and heel. 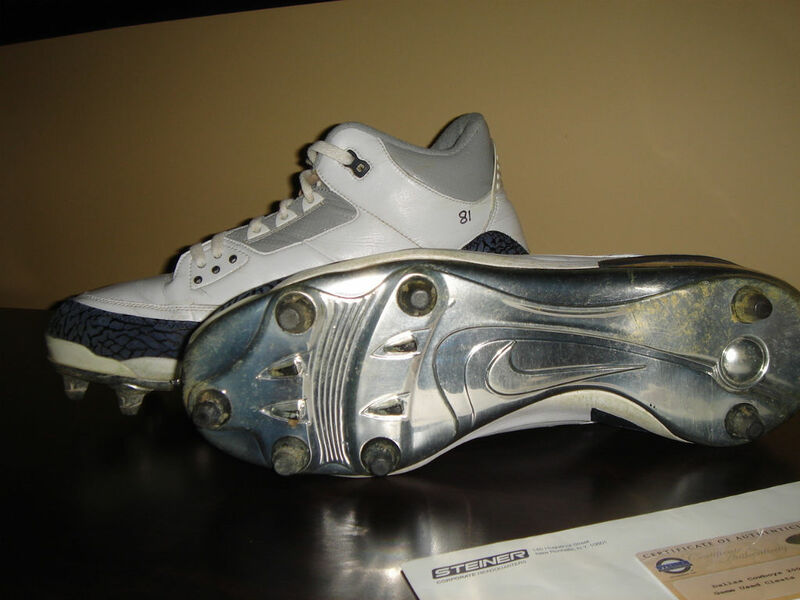 Grey worked the midfoot, collar and inner lining, while a cleated chrome plate finished off the look below. 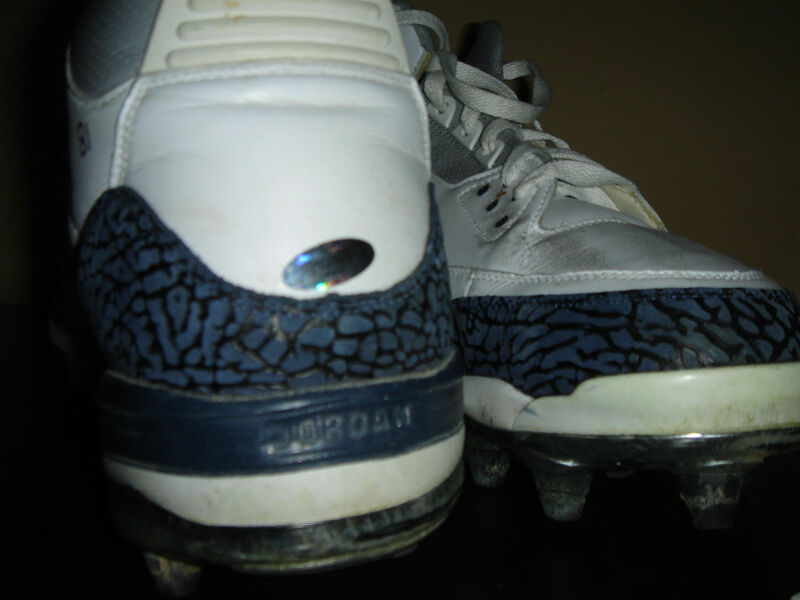 Would you like to see this colorway released as a retro hoop shoe?